It has been pretty slow in buy avodart generic my world..
Three Cutting Edges Are Better Than One! they all have the same amazing 3-edge cutting blocks! Here is a tool that will give you maximum performance and reliability with replaceable and rotatable three-edge cutting blocks that are made from specially hardened alloy tool steel for long life. The tool cuts right to the top of the blade without damaging the cutting Blocks. 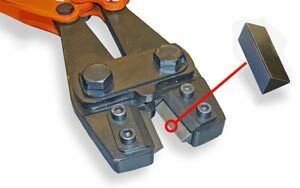 Unlike single edge bolt cutters, our exchangeable blocks with the three cutting edges will fit all sizes of our new tools. The tool handles and grips are designed for greater mechanical leverage & control. 1. Soft Metals include soft steel and non ferrous metals, bolts, screws, rivets, rod, chain and wire. 2. Medium Metals include iron and steel, bolts, screws, rivets, rod, chain, and wire. Don’t Replace Your Tool . . . Replace The Cutting Blocks! This is a terrific cutter for multi-stranded copper, aluminum and other types of non-ferrous material including communication cable. 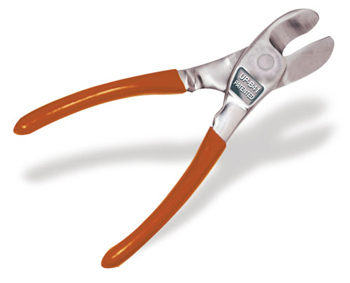 It is a standard tool with most major telephone companies, cable TV installers, electrical contractors, motor assembly companies, and anyone who needs to cut wire and cables. It has a patented offset bite which eliminates compression and frayed ends. The blades actually pulls the cable into the fulcrum to cleanly shear the material from both sides. The UP-B41 can easily cut 50-pair communication cable, 2/0 aluminum cable, battery cable, wiring for motor assembly, and #2 copper cable. This tool is lightweight and compact (only 8″ long), and it will fit conveniently in your tool pouch or belt. Look for the orange handles. This tool is not designed for cutting steel or ACSR materials. The UP-B41 is the ideal tool for communications and electrical industry applications and can be ordered through major communication and electrical supply houses everywhere. 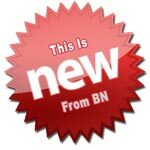 Another great tool from Benner-Nawman, Inc.